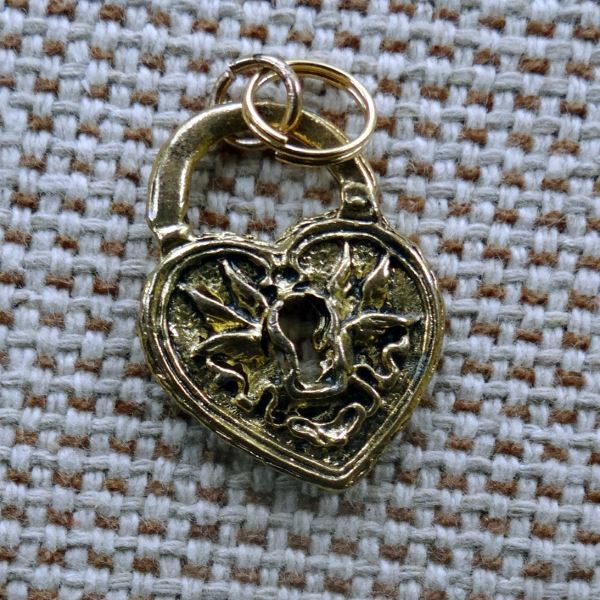 This golden metallic Padlock Heart Dog Collar Charm shows your pup that you have the key to his or her heart. The charm has a scroll pattern on either side with a keyhole in the center. There is a spring clasp at the top for attaching to your pets collar. This charm measures 3/4" wide by 1 1/4" tall.